What can the common laboratory rat tell us about being human? According to behavioral neuroscientist Kelly Lambert, a whole lot. 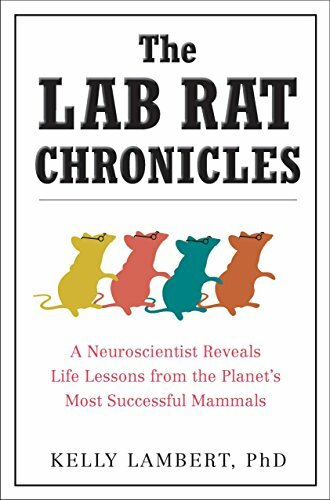 Her twenty- five-year career conducting experiments that involve rats has led her to a surprising conclusion: Through their adaptive strategies and good habits, these unassuming little animals can teach us some essential lessons about how we, as humans, can lead successful lives. From emotional resilience and a strong work ethic to effective parenting and staying healthy, the lab rat is an unlikely but powerful role model for us all. This is a surprising and engaging guided tour into the sophisticated mental, emotional, and behavioral worlds of these frequently maligned and often misunderstood little creatures. Kelly Lambert, PhD, is the Macon and Joan Brock chair of Psychology at Randolph-Macon College and the author of Lifting Depression. In addition to teaching psychology and neuroscience courses, she maintains a behavioral neuroscience laboratory where she and her students investigate the plasticity of the mammalian brain. Her research has been published in scientific journals such as Nature, Behavioral Neuroscience, and Scientific American. She lives with her husband and two daughters in Mechanicsville, Virginia. Visit her website at http://www.kellylambertlab.com/.